Heroes come in all shapes and sizes, with fur and without, with two legs and with four. 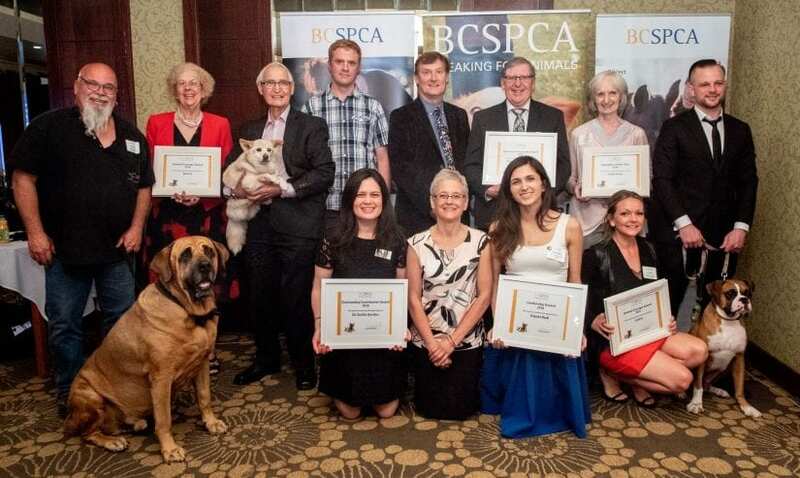 The BC SPCA honoured a wide range of heroes at the society’s annual awards ceremony, held at a special dinner event on May 4 in Richmond. Nuke, a Japanese mastiff weighing in at 73 kilograms (160 pounds), was rescued by the BC SPCA in 2008 when he was found at a marijuana grow operation. He was cared for at the Nanaimo SPCA Branch before being adopted by Jeff King, a renowned Canadian wildlife artist, who helped Nuke overcome the issues related to his life of neglect. When it was discovered that Nuke had a Universal blood type, King registered him as a canine blood donor. For many years Nuke offered numerous life-saving transfusions to help sick and injured dogs. After successfully beating cancer himself Nuke, now 12, has retired from the blood donor program. For Rascal, a senior dog rescued by the SPCA in Nanaimo in 2017, canine blood donors like Nuke mean the difference between life and death. When BC SPCA special constables seized Rascal from his home in Lantzville, he was covered in more than 100,000 fleas, causing him to lose about 85 per cent of his blood. The fleas had sucked out so much blood that his gums were white and his emaciated body had become anemic. In critical condition, Rascal would have died without the emergency blood transfusions he received at Island Veterinary Hospital. The resilient little terrier fought back from his near-fatal condition and is now living happily with his loving new family in Nanaimo. 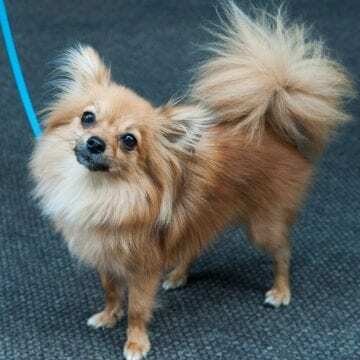 His former owner was charged with animal cruelty last year, following a BC SPCA investigation. Cedric, a brave boxer pup, was severely emaciated with a body condition score of only one out of nine when he came into SPCA care in Vancouver in January. Barely alive, with every rib protruding, Cedric required around-the-clock care, being fed one tablespoon of food at a time so that it would not overwhelm his compromised system. Despite his life-threatening condition, Cedric fought back with courage and resilience to become a healthy and happy dog. Today he is a loving, cuddly pup who is enjoying life in his new forever home. Dr. Ross Hawkes of the Williams Lake Veterinary Hospital was honoured for his outstanding service to abused and injured animals in the SPCA’s care for the past decade. His efforts have included accepting strays at all hours of the day and night, fitting SPCA emergency cases into his clinic, even on his busiest days, supporting the SPCA’s fundraising and outreach programs and providing support for low-cost spay/neuter initiatives. Dr. Hawkes also provided an invaluable service to the community and the SPCA during last summer’s wildfires in the Cariboo region by providing unlimited access to his clinic 24 hours a day, as well as attending warrants with SPCA constables to rescue pets and farm animals trapped behind evacuation lines, housing stray animals and ensuring that all the animals, including wildlife, received the treatment they required. The city of Dawson Creek was honoured with the BC SPCA’s Humane Community Award in gratitude and recognition of the city’s progressive approach to humane welfare for animals. In 2015, the city introduced an animal responsibility bylaw designed to address cat overpopulation by encouraging spay/neuter and permanent identification. 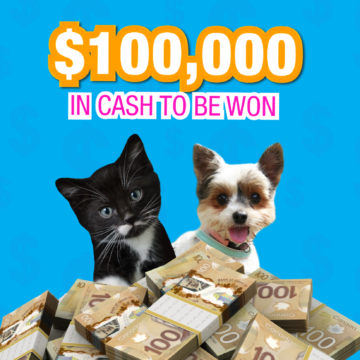 In 2017 nearly 800 cats were licensed – more than the number of dogs licensed that same year – which has enabled the BC SPCA’s South Peace Branch to increase the return rate of lost cats to their guardians from 10 to 40 per cent. Linda Scott, a dedicated animal lover and community advocate from Prince Rupert, was honoured as the 2018 Volunteer of the Year. As coordinator of a trap-neuter-release program at the Prince Rupert SPCA, Scott helps to care for countless colonies of feral and abandoned cats in the community. By feeding, vaccinating and sterilizing the cats, the program ensures that the animals receive urgently needed care, but are unable to breed, so that the colonies will eventually disappear through attrition. In addition, Scott chairs the Community Council for the Prince Rupert SPCA, working with branch staff to promote the mission of the society and helping with numerous fundraisers throughout the year. She has also fostered countless cats and kittens for the Prince Rupert SPCA, ensuring that they receive love and care in a home environment while awaiting adoption. Kelowna-based SPCA volunteer coordinator Enjulie Bedi is this year’s recipient of the BC SPCA’s Leadership Award. The award was created to recognize the outstanding achievements of SPCA staff who go the extra mile to achieve the society’s goals, and who lead and inspire others to live out the mission and the purpose of the BC SPCA. 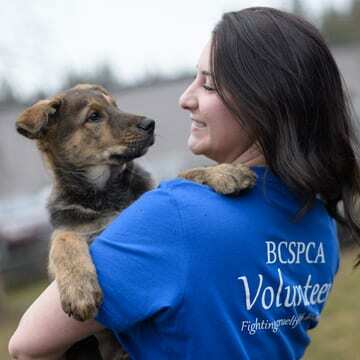 In her role at the BC SPCA’s Kelowna Branch, Bedi oversees more than 200 volunteers – offering regular orientations for new volunteers, scheduling shifts and providing training and support. Last year, Kelowna SPCA volunteers logged more than 12,000 hours on behalf of animals in need. Bedi is also a front-line reception staff member who deals with hundreds of interactions with the public, businesses and supporters. The BC SPCA’s senior manager of animal health, Dr. Emilia Gordon, was recognized for her outstanding efforts during a devastating outbreak of rabbit hemorrhagic disease, an extremely infectious and lethal disease for rabbits, in B.C. this spring. In addition to her heavy workload overseeing all animal health matters for SPCA facilities across the province, Dr. Gordon became a central source of information during the RHD crisis for both SPCA centres and other shelters and rescue groups across B.C. She created urgently needed fact sheets and biosecurity protocols, provided information for members of the public on how to protect their pets and liaised with government officials to help reduce the spread of the deadly disease. The BC SPCA Kamloops & District Branch took home this year’s BC SPCA Branch of the Year Award. The branch, which begins work on a new Community Animal Centre later this month, was recognized for its efforts to reduce the length of stay for cats and dogs in the shelter by maximizing use of the society’s Drive for Lives animal transfer program. By increasing their transfers by 22 per cent in 2017 the branch was able to reduce the average length of stay for cats in their care from 17 to 12 days and their average length of stay for dogs from 10 to 7 days.